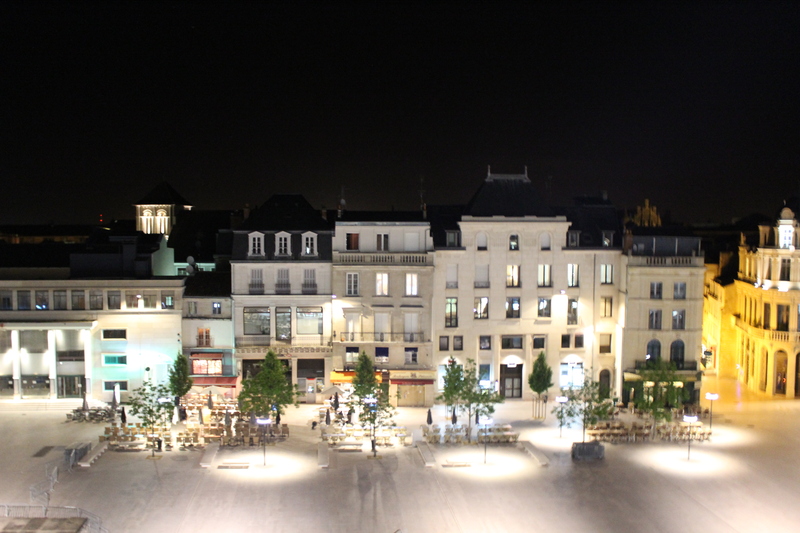 I was lucky to stay in possibly the best location in the entire city – Hotel Central Poitiers. 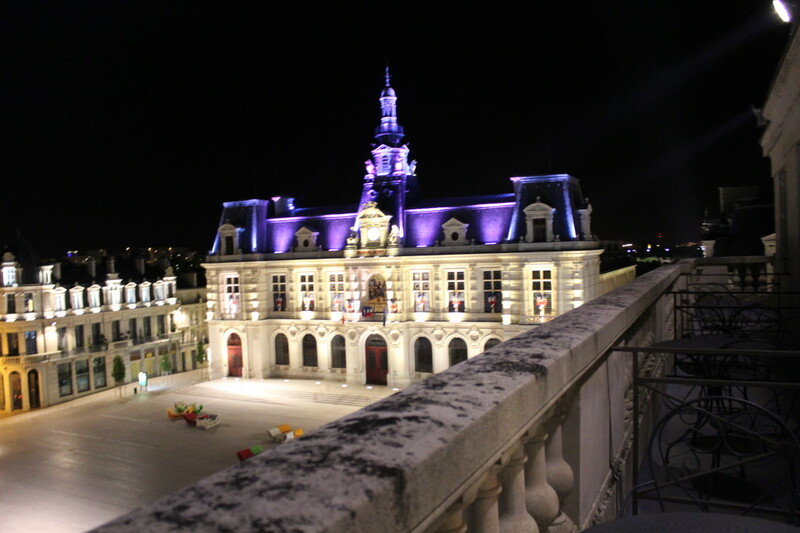 The view above (of Poitiers Town Hall) was taken from my hotel room balcony. I really couldn’t have asked for a better location in the city for both cracking views and access to local amenities. What astounded me more was how affordable this particular hotel was too. To book a standard double room it’s just €53 per night. For the comfort double it’s €64 per night. Considering the quality, views and location this was really rather cheap. I think this is also where you can really tell the difference that staying in a city like Poitiers can have on your bank balance versus staying somewhere like Paris. I would expect to pay a minimum of €100 a night for somewhere as central as this in Paris (if not more). That’s not to say you shouldn’t visit Paris – I personally think France’s capital city is cool – but if you’re on a budget you may want to consider how many days you spend there versus how many days you’re spending in cheaper parts of France like Poitiers. During my trip to Poitiers I spent a day at Futuroscope, an augmented reality style theme park. 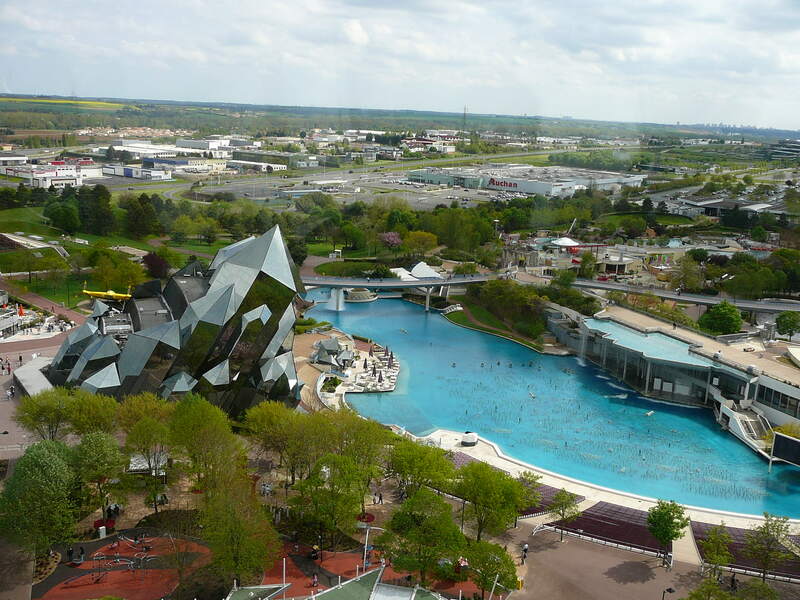 A lot of people visiting Disneyland Paris often visit Futuroscope on their way back down to Spain or more southern parts of France. In actual fact I think the park has more of an appeal to adults and older children than Disneyland does. It’s definitely different to what you may expect from a typical theme park and I was pleasantly surprised during my visit. Most of the attractions at Futuroscope focus on 3D and 4D experiences. Some involve you getting strapped in and thrown around, others were more of an engaging story that you watched in front of an IMAX 3D screen. Some used water in really ingenious ways to create really awe inspiring spectacles. Particular highlights include Born to be Wild and Dances with Robots. Tickets to Futuroscope are €39 per day. However there are deals that mean students can get up to 15% off the ticket price for 1 or 2 day tickets. Poitiers has an abundance of top quality restaurants that offer incredibly scrumptious food at affordable prices. In fact, if I was to describe Poitiers as anything it would be a foodies paradise. I think this is the reason why people should come here. For example, Bistrot du Boucher on Rue Carnot is one carnivores should take note of! Lunch time specials over particular value where you can get 2 courses and a drink for €14.90. In France this is exceptionally cheap, especially given the quality at Bistrot du Boucher. – Overall I really enjoyed my time in Poitiers, and I think if you were looking for somewhere a bit cheaper to base yourself in France that offered an abundance of top quality restaurants and bars this would be it. In my heart of hearts I think I do still prefer La Rochelle as a city for its sea side town feel, but Poitiers does still have a lot to offer as a destination. It’s definitely somewhere you should visit if you want to get more of a feel for the local French way of living. This is not a crowded tourist city. You’ll really get to meet local people. The view from your hotel looks amazing!! I lived there from 1974 to 75 as a grad student at the university. I still have dreams about the place, the people and the great times I had …sur la Place de la Concorde, au Café de la Paix, en buvant la biere Kronenbourg. There are many wonderful things about the place. One is that if you want to learn classic French, it is spoken in Poitiers …perfect dictionary pronunciation. I have never been back. Shame on me. Some day.